Welcome to Hair Jungle hair salon, Plymouth. Our customers speak for us when it comes to hairdressers & hair salons in Plymouth. 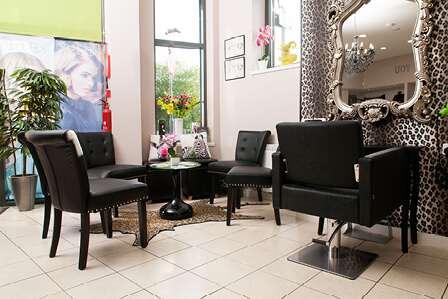 Whether it’s a stylish haircut, hair colour (including our famous Balayage), colour correction, hair up, hair smoothing, fabulous hair extensions or amazing wedding hair, Hair Jungle is the place to come for fabulous ladies & gents hairdressing. 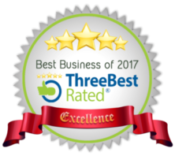 We are a ‘Three Best Rated’ Plymouth Hairdresser with a ‘Best Business of 2016, 2017 & 2018’ rating and ‘Certificate of Excellence’, have a Plymouth City and Waterfront Awards Commendation, are ranked in the top 10 most liked Plymouth Hairdressers by Plymouth Herald readers and are also proud members of the National Hairdressers’ Federation. At Hair Jungle hair salon we believe that achieving the perfect hairstyle is different for everyone. Achieving it need not be a daily struggle! 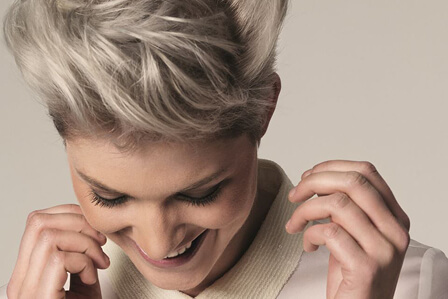 That’s why we work with you to fully understand your haircare requirements, adding our advice and expertise to help you to achieve your short-term & long-term haircare goals. Our top priority is always the health of your hair so be ready for an honest appraisal of the possibilities aimed at restoring, maintaining and/or improving the health as well as the appearance of your hair. Whether you want a simple stylish haircut or a dramatic change, Hair Jungle caters for all ages and offers great hair styling for ladies and gents. Call or pop in to our city centre salon for a FREE, no obligation consultation and let our experienced & talented Team work their magic to give you the look you’re after! 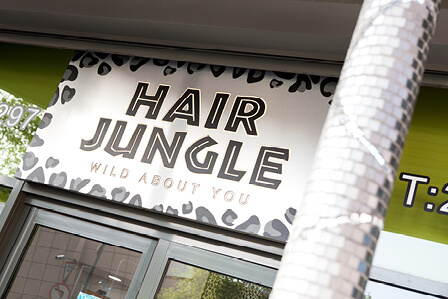 Our ultimate aim is for you to leave the salon delighted with your treatment and we hope you’ll be as wild about Hair Jungle and our hair salon as we are about you! Just a few of our most recent reviews…..
Great mens haircuts with short waiting lists. Excellent knowledge! My experience at Hair Jungle today was amazing. I absolutely love my haircut by Tara, and I’ll definitely be back for another haircut. Thank you Tara! I also want to thank Kate, who not only showed passion in guiding the junior stylist, but had excellent knowledge on the products and treatments available! Could cry I am so happy! I wish I had found this place sooner! I’ve been having my hair cut and coloured here since February and I’ve never been happier with the outcome! What I particularly love is the honesty and advice I get from Emily, she always manages my expectations brilliantly and I am never disappointed. I went again today and I actually could cry I am so happy! Brilliant experience! I was one of those annoying clients who didn’t really know what I wanted but knew I wanted my hair ‘freshened up’. Chelsea took her time to ask me questions and made suggestions based on my answers. Very friendly and did a fab job on my hair. I absolutely love it! Thanks so much! I felt really valued Chelsea has done an amazing job on my hair, honestly feel like a new person, she was such a lovely person as well, not only did she make chit chat with me but she talked me through everything she was doing which I really appreciated! I felt really valued so I will definitely be coming back! I am so so pleased I had my roots touched up by Kate yesterday, it was my first time at Hair Jungle and it was so good! The staff were lovely and I am so so pleased with how my hair turned out, it was done exactly how I wanted. Thank you! Won’t be going anywhere else! Tara is awesome at Hair Jungle. She bravely chopped my very long hair in to a short bob and highlighted it a few times now. Won’t be going anywhere else! Colour exactly right! Couldn’t recommend Holly and Hair Jungle enough!! My hair was In a bad way but Holly took her time to ask me what I wanted and she made sure to get the colour exactly right. Never left a hairdressers so happy! Definitely will be back! Fantastic job After several months of old hair colour, old highlights, and regrowth, I decided to give Hair Jungle a try, after seeing all their beautiful Balayage photos! My hair desperately needed transforming and Kate did a fantastic job, getting rid of my brassy colour completely and giving me a fresh new cut. Thank you so much! Went to other salons and was turned away Absolutely brilliant, went to other salons and was turned away as I had box dyed my hair myself and it didn’t go well. I had Holly do my hair and I’m in love with it, she did exactly what I wanted, my hair didn’t even feel like it had been bleached it was so soft and light, I will continue to go to Hair Jungle. Couldn’t recommend enough! Sound advice and care of my hair Great appointment again with Chelsea today! Second stage of working towards my goal of embracing my emerging grey and yet still feeling vibrant and expressive of my authentic self in my 50’s… Sound advice and care of my hair… equals lovely colour and beautiful result!! Thank you! I wouldn’t go anywhere else! I had a Balayage and cut done for the second time at Hair Jungle today, this time with Vicki who was super lovely. I’m so pleased with my hair again, I wouldn’t go anywhere else! Feel really comfortable! Visited the salon today. Chelsea was the hair dresser, and I’m honestly so happy with how my hair has turned out, best haircut and colour I’ve had, and she’s so friendly made me feel really comfortable too, would defiantly go again! Completely blown away! I cannot thank my stylist Chelsea enough for completely transforming my hair today! After having my hair ruined by another salon through bleaching and miss matched dye, Chelsea not only saved my hair – but also left me with the exact image I’d had of my hair upon my consultation! As a first time client at Hair Jungle I can say that I was completely blown away, and will definitely be returning and recommending them to my friends! Once again, thank you so much to my stylist Chelsea! For not only saving and transforming my hair – but also for taking the time both before and during my appointment to explain the process of my hair transformation! Very loyal customer! Chelsea is a fantastic stylist and really knows her stuff. I’ve been to her twice now and am already a very loyal customer! Professionalism, knowledge, best my hair has ever been! So glad I came across Hair Jungle Had my hair done by Steph yesterday. Complete transformation, I’ve been looking for a stylist I’m happy with for a while and I’m so glad I came across Hair Jungle. Very talented. I’ve had nothing but compliments. Had my hair done by Holly (with some help from junior Tara), I went from completely natural brown to Balayage and I’m so happy with it! They did a great job and I’ve had nothing but compliments on it, highly recommend! Everyone is friendly and welcoming. As always a great service from Emily and her team. Everyone is friendly and welcoming. Lots of advice and help to keep the colour and style looking good as well which I find really useful. Thank you! Love it! Click ‘Read More’ to see dozens more of our customers’ testimonials or go to Google or our Facebook page to read hundreds more!